The Battle of Hannut (not to be confused with the Battle of Gembloux Gap) was a Second World War battle fought during the Battle of Belgium which took place between 12 and 14 May 1940 at Hannut, Belgium. 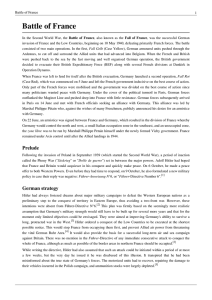 It was the largest ever tank battle at the time.The primary purpose of the Germans was to tie down the strongest elements of the 1st French Army and remove it from the German's Army Group A main thrust through the Ardennes, as laid out in the German operational plan Fall Gelb, or ""Case Yellow"", by General Erich von Manstein. The German breakout of the Ardennes was scheduled for 15 May, five days after the German attacks on the Netherlands and Belgium. The delay was to entice the Allies into believing the main thrust would, like the Schlieffen Plan in World War I, come through Belgium and then down into France. 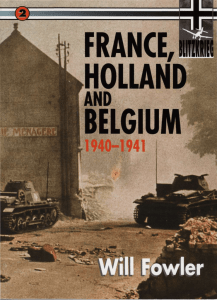 When the Allied armies advanced into Belgium, they would be tied down by German offensive operations in eastern Belgium at Hannut and Gembloux. With the 1st French Army flank exposed, the German could thrust to the English Channel which would encircle and destroy the Allied forces. For the French Army, the plan in Belgium was to prepare for a prolonged defence at Gembloux, some 21 miles to the west of Hannut. The French sent two armoured divisions to Hannut, to delay the German advance and give strong French forces time to prepare a defence at Gembloux. Regardless of what happened at Hannut, the French planned to fall back on Gembloux.The Germans reached the Hannut area just two days after the start of the invasion of Belgium. The French won a series of delaying tactical engagements at Hannut and fell back on Gembloux as planned. However, the Germans succeeded in tying down substantial Allied forces at Hannut which might have participated in the decisive blow through the Ardennes.The Germans failed to neutralise the French 1st Army completely at Hannut, despite inflicting significant casualties and it withdrew to Gembloux. There, the French once again scored tactical successes at the battle of Gembloux during 14–15 May. 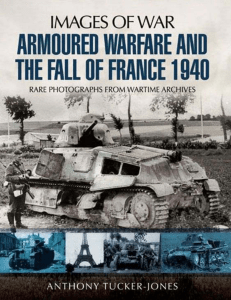 In the aftermath of that battle, although seriously damaged, the French 1st Army was able to retreat to Lille, where it delayed the Wehrmacht and was instrumental in the British Expeditionary Force's escape from Dunkirk.